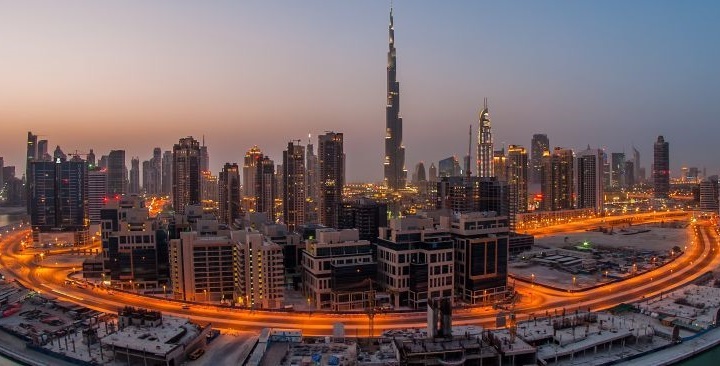 Despite reports of a decline in rents in Dubai’s mid to high-end residential segment, the city has ranked among top cities globally for luxury property rentals. Dubai is the world’s 10th most expensive city for high-end rentals, according to ECA International, a knowledge provider for the assignment of employees around the world. New York is now the most expensive city in the world for high-end rental accommodation, overtaking Hong Kong. Average rents in New York have risen to $10,502 (approximately Dh38,569) per month. Meanwhile, rents for an unfurnished three-bedroom apartment in Hong Kong average $10,189 per month while in London, a similar property commands $7,886 per month. London stands fourth in the global rankings. So, how does Dubai fare in comparison? “Generally, three-bedroom apartments in Dubai demand a median asking rent of Dh185,000 annually [around $4,197 per month],” informs Haider Tuaima, research manager, ValuStrat. There is no absolute consensus on the rents, though. “The rental amount is directly linked to the building, in addition to the community, but typically three-bedroom apartments within the more popular locations are circa Dh200,000 to Dh240,000,” says Nick Grassick, managing director of PH Real Estate. As a rule of thumb, developers generally build with a mix of one, two and three-bedroom apartments. The majority of apartments are one-bedroom and a fewer number of three-bedroom units than two-bedroom – this is to maximise the number of homes per building. “Speaking of three-bedroom units in particular, the existing stock is relatively small compared to other unit types, so landlords are able to charge a premium price on these properties,” says Robin Teh, UAE country manager and director of valuations and advisory UAE, Chestertons Mena. The fact there is limited numbers of larger properties adds to the supply/demand equation and, in turn, higher rents. “When more tenants enquire about fewer properties, landlords are less likely to accept an offer lower than the asking price. When a property has offers from multiple tenants, landlords’ expectations increase, resulting in higher asking prices,” adds Grassick. According to data provided by REIDIN, Dubai rents continue to fall for both apartments and villas, with minimal quarter-on-quarter change (-1 per cent for apartments and -3 per cent for villas), and a larger annual decline of 4.6 per cent for apartment rents and five per cent for villa rents. “Rental decline outpaced sales price decline in Dubai, resulting in reduced gross rental yields last year. There is a disconnect between the sales market and the rental market. Some rent decline is expected even if the sales side of the market is improving a bit. This can be attributed to the upcoming residential units during 2017,” explains Ozan Demir, research and data manager, REIDIN. ValuStrat estimates around 25,000 residential units to come online during 2017. But, keep in mind that only 33 per cent of the projected supply was completed last year. “There may be pockets of localised oversupply in some under-construction districts that could result in downward pressure on rents,” adds Tuaima. With prime areas in Dubai close to development saturation, the major new stock will be delivered in more affordable communities. “The previous shortcut of affordable housing options in Dubai prompted developers to invest in communities such as Dubai South, Jumeirah Village Triangle, Jumeirah Village Circle, Dubailand and Dubai Sports City where the major stock of units have been delivered or is to be delivered in upcoming years. This trend is particularly important as it also targets the expats currently living in Sharjah due to lower rents,” says Chestertons’ Teh. However, some market commentators believe the oversupply will only affect rents in sub-standard buildings while the more popular buildings in the more popular communities will stay immune. “When an oversupply happens, it typically fuels a ‘flight to quality’. Choices are decided based on location, quality of build, access to local amenities or social infrastructure. Normally, a property which ticks a number of these boxes is considered more desirable, meaning more interested tenants and that the rental value will at least hold, if not increase,” informs PH Real Estate’s Grassick.